The new F-Max, produced by Ford Trucks, has been elected International Truck of the Year for 2019 by a jury of 23 commercial vehicle editors and senior journalists, representing 23 major trucking magazines from throughout Europe. The prestigious award was handed over to Haydar Yenigün, Ford Otosan General Manager, during the press day of the IAA Commercial Vehicle Show in Hanover, Germany. With a winning score of 126 votes, the new F-Max heavy-duty tractor fought off the challenges posed by Scania’s recently-launched L&P Series and the FH/FM truck range powered by liquefied natural gas (LNG) from Volvo Trucks. 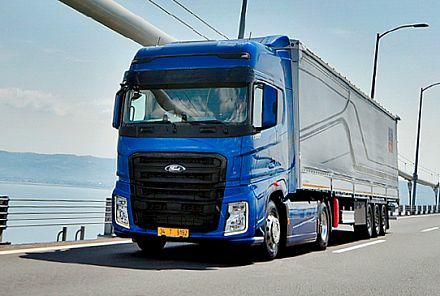 In terms of the International Truck of the Year (ITOY) rules, the annual award is presented to the truck introduced into the market in the previous 12 months which has made the greatest contribution to road transport efficiency. Jury members take into account several important criteria including technological innovation, comfort, safety, driveability, fuel economy, environmental footprint and Total Cost of Ownership (TCO). During a recent extended test drive in Turkey, the IToY jury members praised the efficiency and advanced characteristics of the F-Max’s driveline, including Eco-Roll, Adaptive Cruise Control (ACC) and GPS-based Predictive Cruise Control functions. Equally impressive was the pairing – and quietness – of the in-line six-cylinder 12,7-litre Ford Ecotorq Euro 6 engine rated at 500 HP in combination with the ZF 12-speed Traxon automated gearbox. The Truck of the Year journalists also appreciated the key features of the new long-haul cab, which offers a comfortable, ergonomic, user-friendly working and living environment, with a flat floor, a width of 2,5 m, an interior height of 2,16 m, excellent storage capacity and cockpit-style dashboard featuring a digital instrument cluster (which is both easy to read and navigate). Jury members also commented favourably on ConnecTruck, the connectivity platform of the vehicle. MAN Truck & Bus has won the inaugural Truck Innovation Award for 2019 in recognition of its aFAS Level 4 automated driverless safety truck. This sought-after trophy is being awarded by the International Truck of the Year (IToY) jury, a group made up of commercial vehicle editors and senior journalists, representing major trucking magazines from Europe and South Africa. 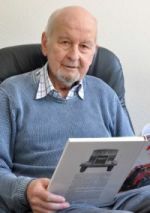 The new award acknowledges the enormous technological change that is evidenced within the field of commercial vehicles. The Truck Innovation Award was handed over to Joachim Drees, Chief Executive Officer of MAN Truck & Bus, during the press day of the IAA Commercial Vehicle Show in Hanover, Germany. The aFAS – this acronym stands for “automated driverless safety vehicle for jobs on Federal motorways” - is a highly innovative safety solution developed by MAN over a period of four years, with the support of the German Ministry for Economic Affairs and Energy and with the involvement of technical institutions and several key component supplier-partners. A Truck Innovation Award nominee must be an advanced-technology vehicle, with a gross vehicle weight over 3,5 t. It should either feature an alternative driveline – hybrid, hybrid range-extender, allelectric – or have an alternative fuel-system such as LNG/CNG/ hydrogen/fuel cells. Alternatively, it must feature specific high-tech solutions when it comes to connectivity – whether semi- or fully autonomous driving systems, a platooning capability, or advanced support services such as remote diagnostics. During a recent exclusive press event in Linz , Austria, the IToY jury members were given an in-depth overview of the aFAS project. Furthermore, the jury had the opportunity to assess the Level 4 unmanned protective truck. 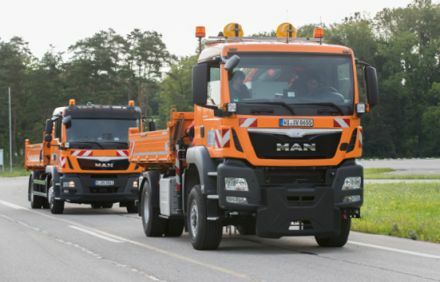 The highly innovative vehicle – a MAN TGM 18.340 – automatically follows another truck engaged in maintenance works on highways. The IToY journalists were impressed to discover that the aFAS has already been tested, without any accident, on public roads covering more than 4 000 km. Jury members also commented favourably on the fact that the aFAS can save lives, because mobile construction sites on motorways pose a high risk to site personnel, since serious rear-end collisions are common. Furthermore, they gave the thumbs-up to the ease of operation, high level of active safety and extensive use of series components. In addition, they remarked on the fact that this is the first Level 4 driverless vehicle on public roads in Europe. DAF’s new XF/CF truck range has been elected International Truck of the Year for 2018 by a jury of 23 commercial vehicle editors and senior journalists, representing 23 major trucking magazines from throughout Europe. The prestigious award was handed over to Preston Feight, President of DAF Trucks, during the press day of the Solutrans Commercial Vehicle Show in Lyon, France. With a winning score of 104 votes, in a neck-to-neck competition the new Dutch heavy-duty truck range fought off the strong challenge posed by Iveco’s Stralis NP long-haul 460 HP natural-gas engine model which was second, and Scania’s XT construction range, which finished in third place. 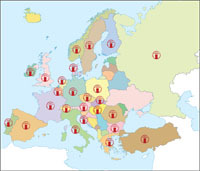 In accordance with the International Truck of the Year (ITOY) rules, the annual award is presented to the individual vehicle or model range introduced into the market in the previous 12 months which has made the greatest contribution to road transport efficiency, based on several important criteria including technological innovation, driver comfort, road safety, driveability, fuel economy, environmental ‘footprint’, and Total Cost of Ownership (TCO). 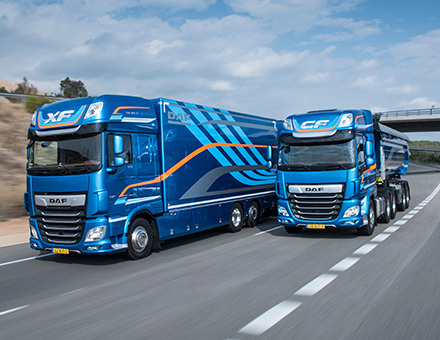 The new XF/CF innovative drivelines, based on optimized MX-11 and MX-13 in-line six engines, well integrated with the latest ZF Traxon 12-speed automated gearbox and new DAF rear-axles, deliver improved driveability, greater fuel efficiency and seamless gear-changing characteristics. The Truck of the Year jury members appreciated the new XF/CF’s energy efficiency features, which include improved combustion, a reduction in internal engine friction losses, engine down-speeding, intelligent auxiliaries, driveline component integration, different gear-shifting strategies, enhanced predictive features running on a new electronic architecture as well as weight reductions in selected components such as the compact after treatment system. In particular, during a recent extended test drive in Belgium and the Netherlands, the IToY jury members praised the advanced characteristics of the latest XF/CF drivelines, which allow for longer fuel-saving ‘Eco-roll’ periods, due to the increased integration of the engine and automated-gearbox equipped with the latest GPS-based Predictive Cruise Control function. Summing-up the jury vote, International Truck of the Year Chairman Gianenrico Griffini commented: “With the introduction of XF/CF series DAF has delivered a heavy-duty truck range that sets a new standard in terms of driveline energy-efficiency and overall performance”.